We offer two distinct types of garment construction (tailoring grades) allowing you to decide which best fits your needs. 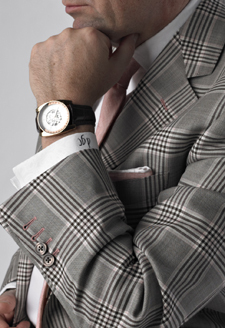 Literally translated means “masterpiece” and reflects the true pinnacle of hand made clothing. Our best quality and the foundation on which we built our business, it evokes the true bespoke aspects of both English and Italian fine tailoring. If you are used to buying the best of the best, Capolavoro is for you. 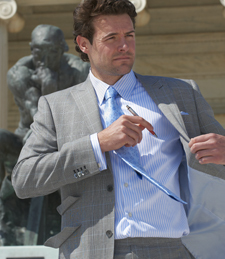 The “World” quality is aptly named because it is a distinctive garment for everyone. Machine created, it is an introduction to custom and makes a perfect stepping stone to Capolavoro. Now you can purchase quality custom clothing for the same price as ready to wear.